"Too Far Gone" is just an amazing finish to the prison story arc. 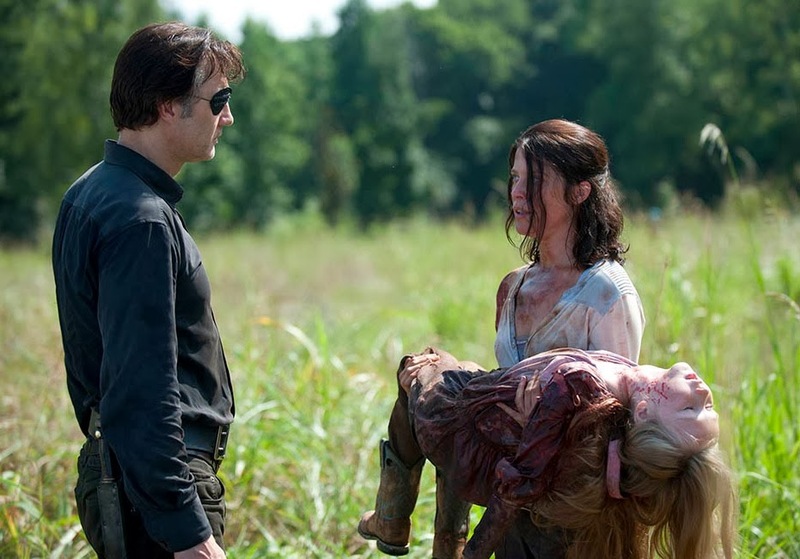 Brian, formerly known as The Governor kidnaps Michonne and Herschel from the last episode and convinces his camp that they must take over the prison to survive. With the slow pace over the last two episodes of rebuilding Brian's character it's a fairly hectic mid-season finale. Deaths of several main characters litter this episode that will have you saying, oh no, why him (or her)! 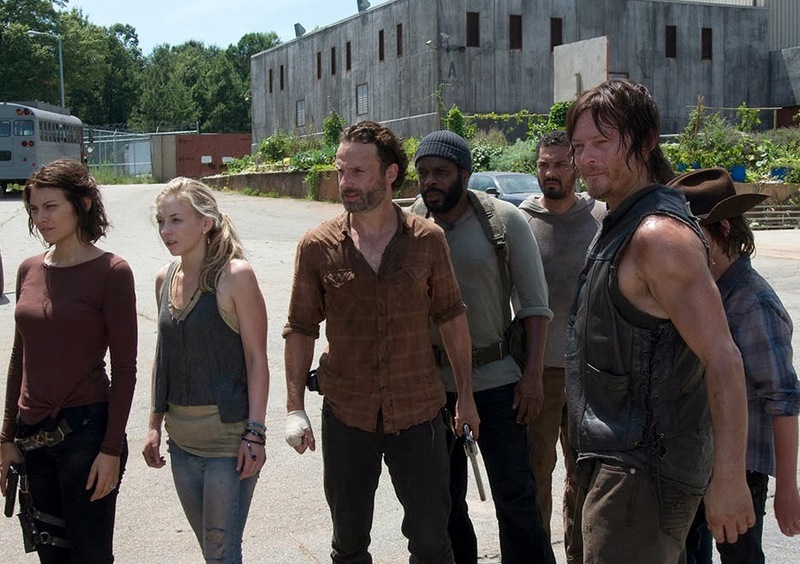 When Brian and his gang arrives at the prison with their tank, they give Rick and his gang an ultimatum. Leave or be killed. Rick tries to reason with them that they can all coexist in the prison in separate cell blocks never having to see each other. Brian, the always on the brink of insanity answers with a beheading that mirrors the comic books. It's because that this episodes follows the comic book somewhat closely that I believe fans of the book will ultimately love this episode. Not to mention all the action! Seeing issue #48 in case you were wondering, play out on the small screen by the incredible cast will have you excited and on the edge until the end. 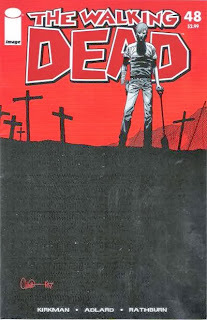 Some of the parallels between the comic and this episode includes the two main deaths. 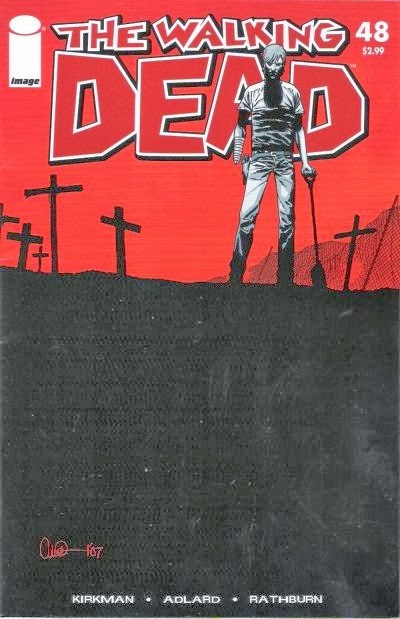 The name of the person that kills the antagonist of the episode are the same in the comic book though for slightly different reasons. Where do we go after this episode? The group is now scattered in several directions. 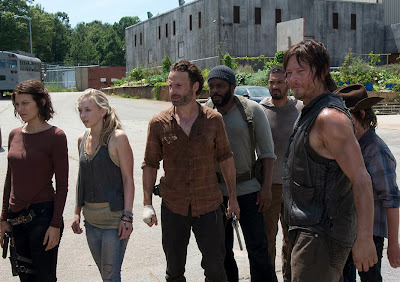 It'll be interesting to see who survives when they reunite on February 9th. There's still a few unanswered questions from this season and in particular this episode. For example, Tyreese has yet to be told about Carol, as Brian interrupted Rick and Darryl just as they were going to tell him. Also who's the psychotic person feeding rats to the walkers and making rat art. Did you enjoy the episode? What would you have love to see happened differently?